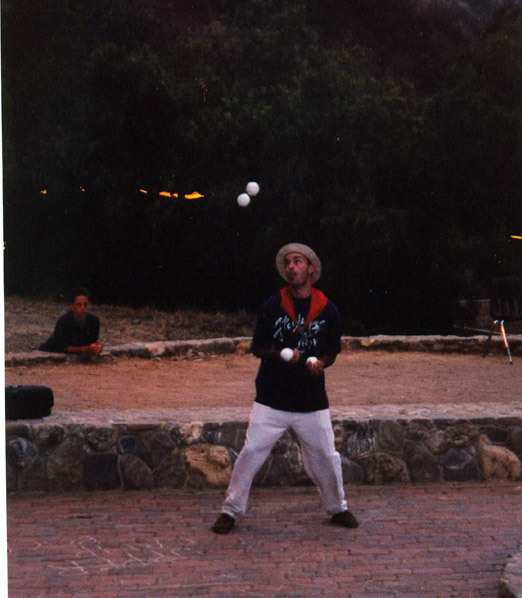 The following pages are a mix of old and new photos from several different times in my juggling life. You might recognize some people on here. 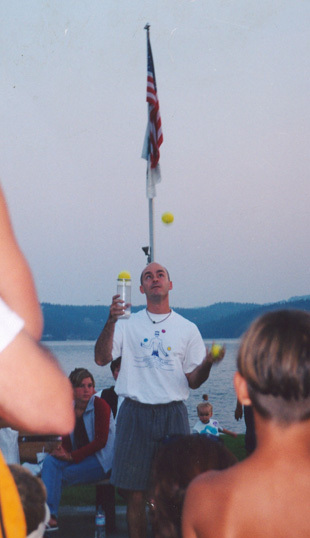 And of course, there are always the greatly-loved pictures of Lisa--my favorite juggler. Yeah baby!! 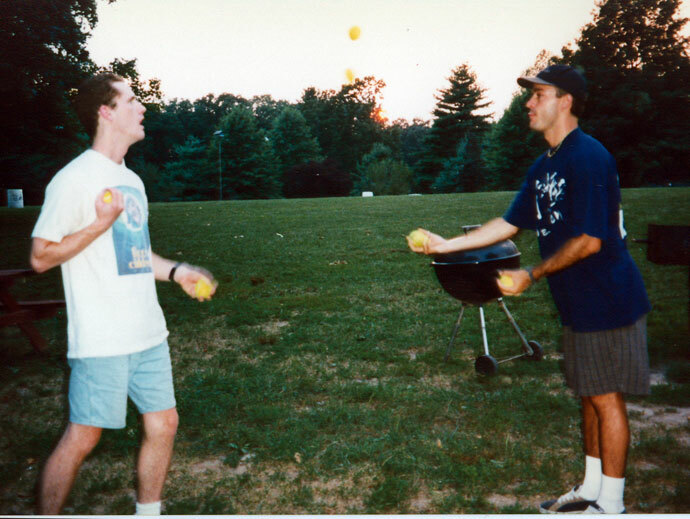 Way back in '96, I actually passed 6 balls with a guy named Bill at a retreat. 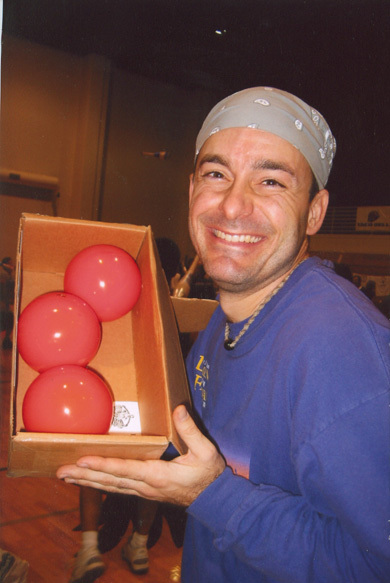 Hanging out with Serious Juggling's owners and the guy who taught me the suicide string climb. 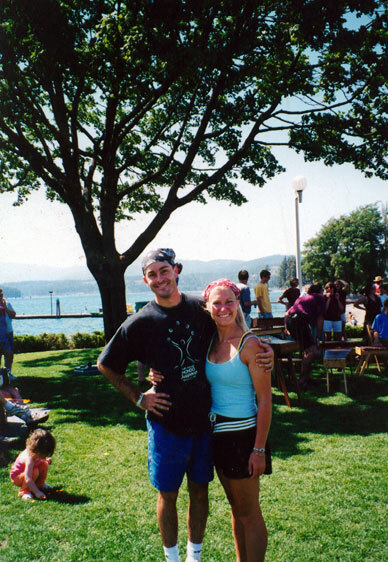 Lovin' life at the first Couer d'Alene fesitval. 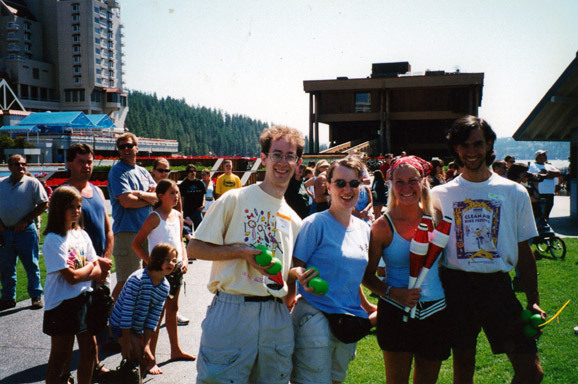 Hanging out with a hot woman juggler at Independence Point in CDA. Go to this festival! 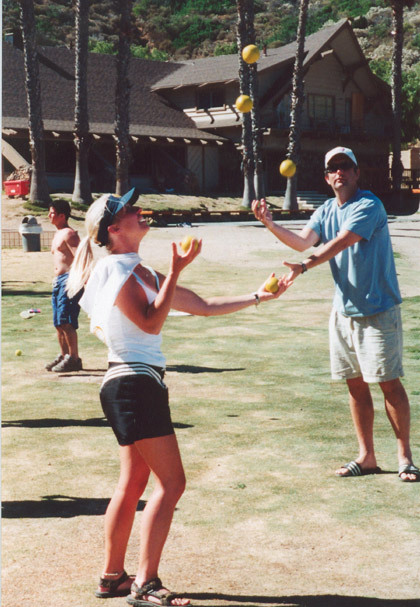 What's cool about this photo 1--A hot girl is doing 5 balls. 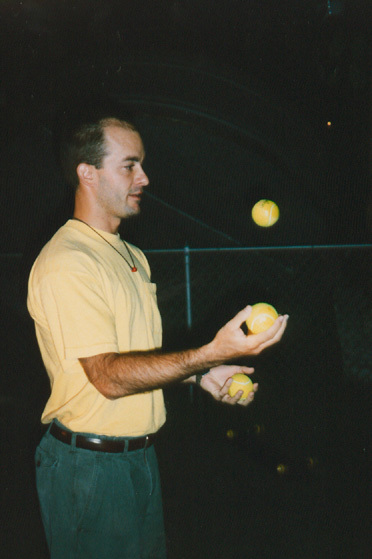 2--It looks like the guy is juggling too!